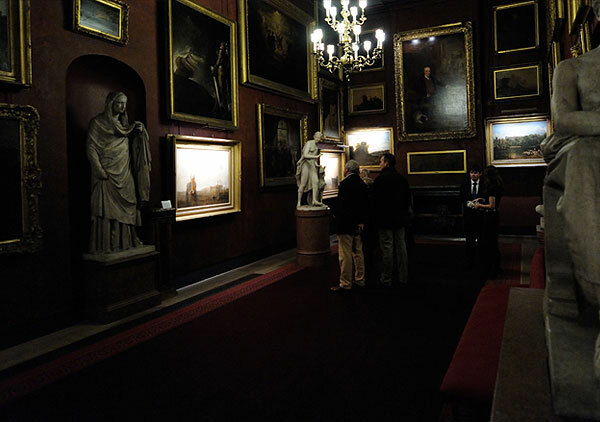 Hogarth have been selected by the National Trust to design and supply 300 picture lights for Petworth House, Petworth, West Sussex. 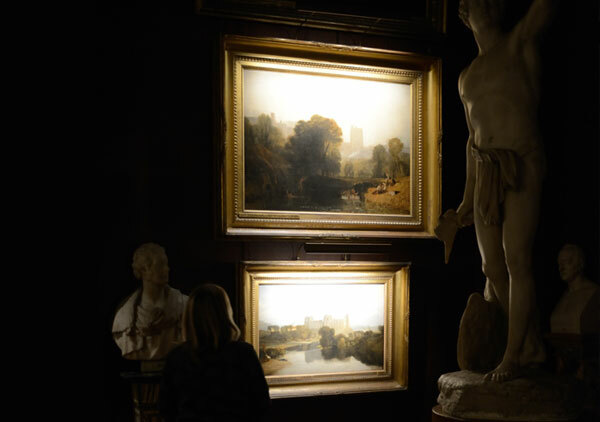 The greatest picture collection in the Trust - includes works by Titian, Bosch, Claude, Ruisdael, Teniers, Van Dyck, Lely, Kneller, Reynolds, Gainsborough, Blake - and a magnificent collection of fourty two landscapes by Turner. We designed a completely unique picture light from scratch, inspired by the old picture lights used within Petworth house. Over a six month period Hogarth worked closely with the team at Petworth House - we copied an existing Petworth picture light and converted its manufacture using our modern techniques. The new Petworth picture lights have the most up to date L.E.D. technology with unique internal designs by Hogarth for illumination of the art works. We had to design and manufacture the hood and hood closure assembly. The picture lights had unique shutters created and can have arms attached to the top, as in the original Petworth picture lights, or from the back. 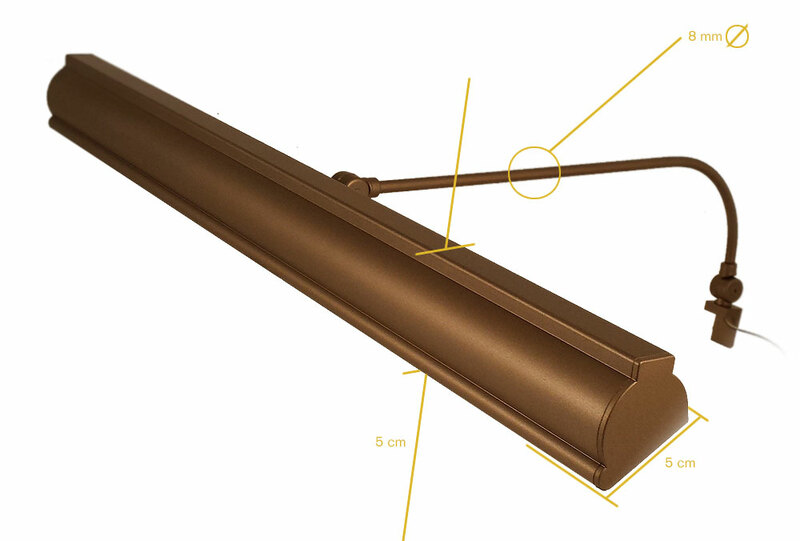 We developed a uniqe finish for our lights for Petworth House. 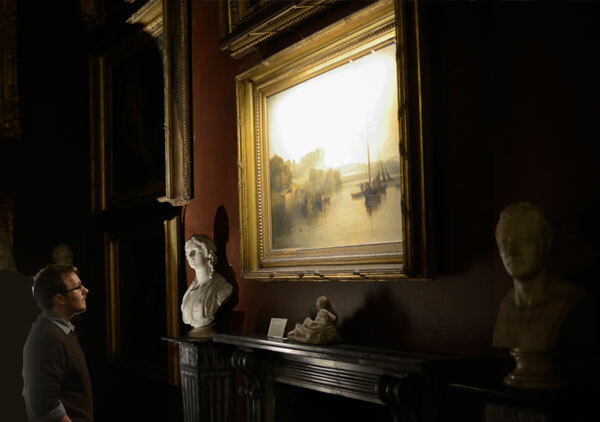 A unique exhibition celebrating the artist JMW Turner and inspired by Mike Leigh’s film Mr. Turner will be on show at Petworth House. 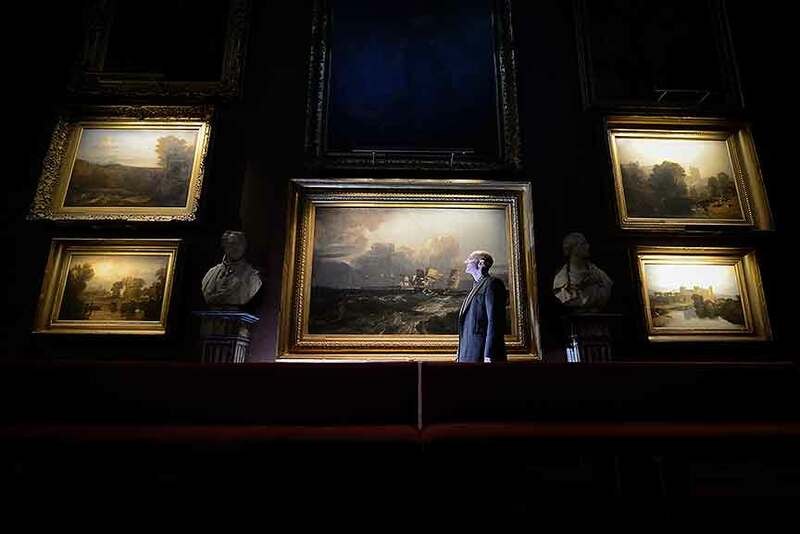 Mr Turner – an exhibition will feature major Turner artworks and the largest group of Turner’s personal belongings ever displayed. Turner was a frequent visitor at Petworth House as the guest of his patron, the 3rd Earl of Egremont, and painted many works there. The house played a starring role in the film and with props and costumes featuring in the exhibition visitors will be able to go behind the scenes. One of the centrepieces of the exhibition will be the Artist’s Studio, depicted in Turner’s famous painting ‘The Artist and his Admirers’. 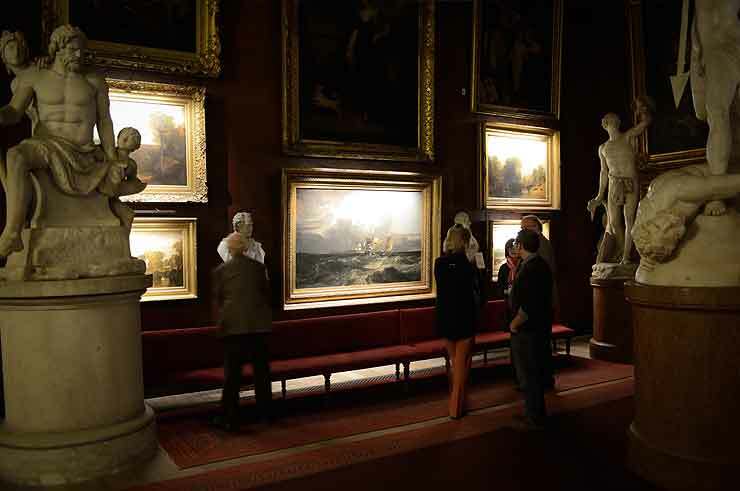 Turner and other visiting artists socialised and painted in the magnificent light-filled room which isn’t normally open to the public. Loans from major collections such as Tate and V&A feature in the exhibition as well as items from private collections. ‘We’re indebted to Dr Jacqueline Riding, research consultant on Mr. Turner, who helped us to amass this wonderful collection’ said Loukes.